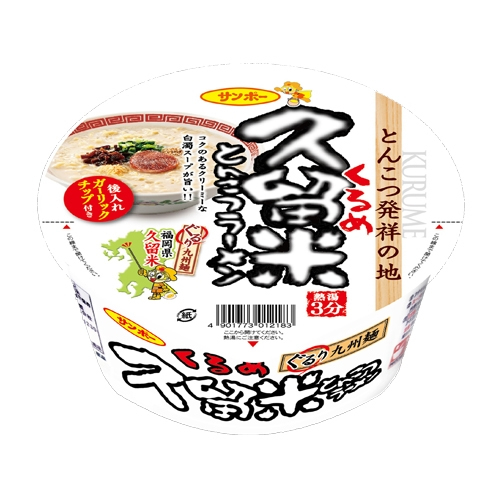 ●I arranged ramen of pork bones ramen birthplace "Kurume" and reappeared. ●I put the specially made seasoning oil (pork oil) and back and was fragrant for a garlic tip and finished the creamy pork bone broth well. ●The noodles used crisp medium-fine noodles. ●A roasted pork fillet comes, and the ingredients materials contain a jellyfish, a leek, pickpocket sesame. (1)I tear off a cover to an arrow, and "I put more it, and "soup" "seasoning oil" "to bake it" extracts garlic". (3)Enter and, three minutes later, stir "seasoning oil" well, and "you put more it and put garlic", and please have it.